The emotional reunion of two brave soldiers who were injured as a result of a suicide bombing testifies about the hard life of those who combat in the army and what they risk for the well-being of the country. Army Spc. Alec Alcoser and his partner Alex are true national heroes who were awarded Purple Hearts for Heroism. This is their story. 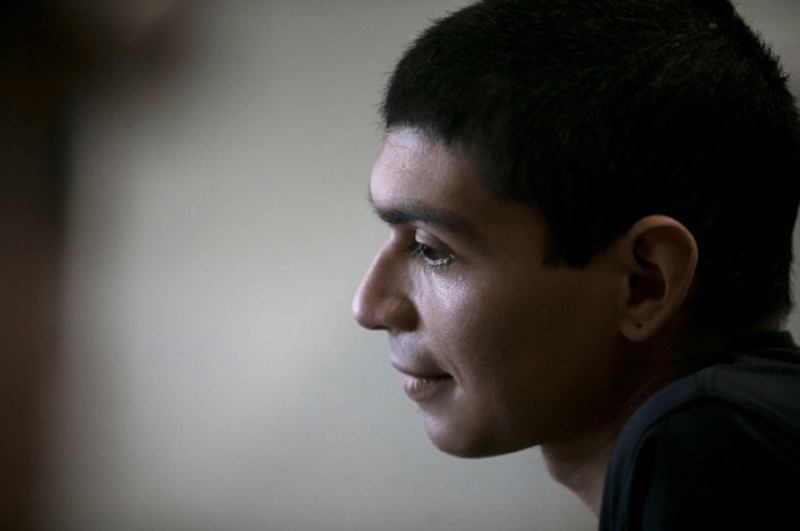 On August 5, they were walking along a narrow street in Bagram Airfield in Afghanistan, and just when they turned the corner there was a young Afghan man who was coming towards them. As the man blew himself up, Alcoser ended up with several broken bones and with his body covered in shrapnel. He as well suffered brain injury. 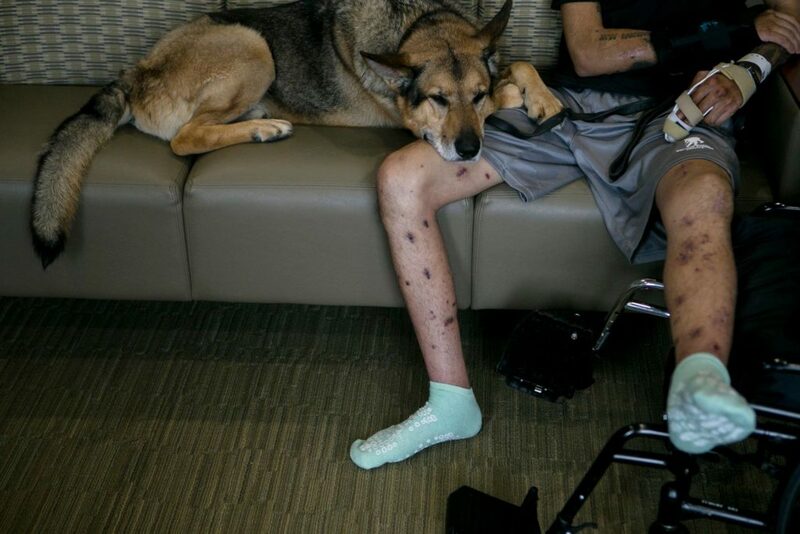 Alex, Alcoser’s partner who is an 8-year-old dog lost his leg in the attack. The partners were extremely close and did everything together during their serving in Afghanistan. They endured many military missions and have proven their selfless service, loyalty, and courage during each of those operations. However, during the recovery process the partners were separated and according to Alcoser that was the most difficult part of all. The doctors believed that Alcoser would be able to recover in six months time, but this young man’s desire to be on his feet again was so strong that he started walking again in a month time. The doctors say he has a good chance of making full recovery. 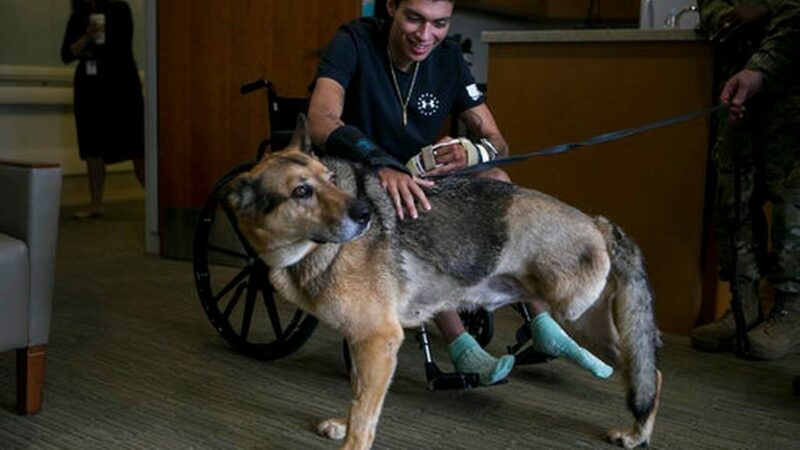 Alcoser is eager to recover completely and be together with his dog again.